I've heard about C.Y. 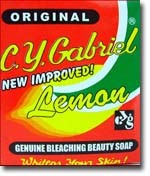 Gabriel soaps before when I was younger. I also see them while looking at soap displays in supermarkets. I started using them when my neighbor gushed about its effectiveness in removing pimples and other dirt-like growths on the face. Because I wasn't yet sure about C.Y. 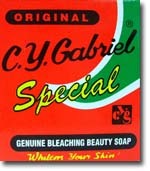 Gabriel, I bought the basic one -- the C.Y. 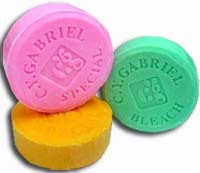 Gabriel Special Pink, and true enough, the soap made my face smoother. I've read on forums that the soap is effective, but it dries the skin. I found out that there's some truth to it, so what I do is not to use the soap every day. Other days, I use mild soaps or moisturizing soaps such as Dove or baby soaps. 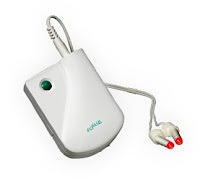 With its very affordable price and good result, C.Y. Gabriel is definitely a good buy. You can buy these soaps at nearly all supermarkets, drugstores and other types of retail stores. My father is now 83 years old. For nearly three years in his late 70s, he had two illnesses -- ear ringing and body itching -- that pained not only him but also us, his children. The body itching didn't let him sleep. Even though we took turns in scratching, patting, striking or massaging his body, he could only sleep for a while, and then wakes again because of the itch. There were even times I asked God to take him and let him rest in his bosom if the itching doesn't stop, as I couldn't bear seeing him suffer. Years later, he recovered from this illness because of his belief in God, but it's another story, as the focus of this article is on ear ringing. My father also suffered incessant ringing in his ears, but he suffered quietly. He didn't see it as an illness; he didn't even know that there's a name for it. I myself previously didn't know that other people has it, that it's a disease, and that it's called tinnitus. My father thought that the condition was unique to him, or that everyone who went through the same situations as my father's has ringing in the ears. I came to know that he's suffering from tinnitus when I chanced upon an article on ringing of the ears. It was then I realized that it's an illness, but I didn't tell my father. I realized also immediately that a big part of handling tinnitus is not to be too conscious of its existence. Like the disappearance of his itching, the disappearance of my father's tinnitus is also credited to God's mercy. This is not to say that if itching and tinnitus are not cured in some cases, there's no mercy from God. It's all case to case. Different situations, different ways of receiving healing, different times of receiving God's mercy. If you have allergic rhinitis, you easily sneeze and have runny nose, watery eyes and itchy nose and eyes whenever you encounter allergens such as dust, molds and pollens or irritants such as smoke, perfumes and aerosol sprays. You develop these symptoms because your immune system reacts easily to allergens and irritants. As soon as your immune system detects irritants and allergens, it immediately prompts your mast cells to release histamines to fight them, but these histamines also cause swelling, itching and mucus in your nose and eyes. The most common medications being used to fight sneezing, runny nose and other symptoms are antihistamines. And certainly, you have taken a lot of these despite your concerns about short-term and long-term side effects. One treatment that you can try is phototherapy. This treatment uses light to fight symptoms -- a healing principle that has been used for centuries, although in a more direct way, such as bringing weak babies or adults out of the house to feel the morning sun. Today, pocket-sized phototherapy devices that deliver low-level narrow-band light to specific areas of the body are now available to treat pain, inflammation, musculoskeletal injury, allergic rhinitis and other illnesses. One of these phototherapy devices is BioNase, a pocket-size device with ends that you can insert into your nose for about 4 to 5 minutes three times a day to relieve allergic rhinitis symptoms. People who suffer from allergic rhinitis have been looking for better alternatives to antihistamines, decongestants, corticosteroids and other drugs, which can cause various side effects if taken frequently. In acupuncture, hair-fine needles are used to stimulate certain parts of the lung meridian in order to remove energy blockages. Some studies have found that acupuncture combined with certain herbs are just as effective as antihistamines in relieving allergic rhinitis symptoms. However, caution should be exercised in using herbs because they can worsen symptoms and become toxic if used excessively or improperly. Homeopathic professionals use certain substances such as Arsenicum album, Allium cepa and Euphrasia to create dilutions that would improve the emotional and physical conditions of someone with allergic rhinitis. Some dietary supplements such as Lactobacillus acidophilus, Spirulina, Quercetin and Vitamin C have also been cited as helpful in relieving allergic rhinitis symptoms. One natural cure for allergic rhinitis is the use of light, called phototherapy. It can relieve sneezing, stuffed or runny nose, headaches and teary eyes. BioNase is a revolutionary pocket-sized device that uses light to relieve your allergic rhinitis symptoms. It is easy to use, affordable, not invasive and has no known side effects. You just insert the ends of the device into your nose for about 4 and-a-half minutes for 3 times a day while reading, watching TV or surfing the Internet.